A new video has emerged on YouTube which shows Korean’s trying to identify famous Westerners… and inevitably failing badly. Korean YouTube sensation Sw Yoon, who’s other vids include ‘Korean girls try to open their eyes’, made the video which sees Koreans handed a selection of photos of some of the western world’s most famous actors, singers, and stars, reports the Daily Mail. This includes Katy Perry, Taylor Swift, Keira Knightly, Jodie Foster, Scarlett Johannson and many many more. The task at hand was for the Korean participants to separate the given photos into individual piles for each celebrity. But as you can probably imagine – things don’t go to plan. The clip is heavily based on a theory called the ‘cross race effect’, which states that we are naturally able to easily identify people of our own race, but not others. 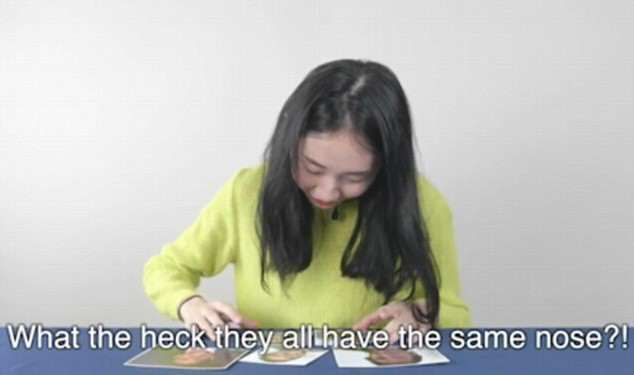 If further proof for the theory was ever necessary then it could be found within the first three seconds of the YouTube clip, when a Korean girl says, ‘aren’t they all the same people’. However, I do have quite a lot of sympathy for the guys. I didn’t get them all right at all – especially the Javier Bardem one.